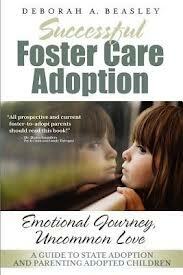 As a social worker who’s primarily worked in the field of foster care/adoption, I appreciate this book. There aren't many about foster care adoption, and foster-care adoption may be where adoptive parents are most needed. Beasley's book asks prospective foster-adoption parents to evaluate their own preparedness for adoption through a thorough workbook. She advises individuals to practice mindfulness, believing that in doing so they will become better capable of being excellent parents. Sections on parenting children of trauma and on cultural awareness and sensitivity offer good wisdom; she notes that racism and prejudice are still realities and that children will experience them in the world even if parents believe that they personally are "color-blind." She encourages parents whose children have experienced trauma to parent from a place of understanding the child's experiences and needs, rather than parenting based solely on reaction to observed behaviors. In both instances, Beasley encourages a realistic, child-focused, proactive, thoughtful approach. Beasley's outline of the fost-adopt process seems unintentionally specific to her home state, and a serious concern is that reunification isn't mentioned enough. Placement with extended birth family members seems like something to be feared as a barrier to adoption rather than the joyous maintenance of family ties. I could see prospective fost-adopt parents finishing this book and not realizing that reunification or placement with an extended birth family member is often preferable to adoption. A second serious shortfall is that the book does not address the place of openness in foster care-originated adoptions; adoptees from foster care can gain much from ongoing contact with members of their birth family. Beasley writes in an accessible, friendly manner and incorporates many examples and case studies to illustrate her points. The book reads like a casual discussion with an experienced foster parent. I applaud her emphasis on parents espousing a child-focused point of view. This book does have some shortcomings with regard to openness, and I encourage readers of the book to question the way in which extended birth family placement and post-adoption openness are (and aren't) addressed in the book. The book also succeeds in making foster-care adoption feel understandable and accessible while at the same time encouraging prospective foster and adoptive parents to consider the child's history, feelings and needs beyond their own. It's a worthwhile book to read if you're considering foster adoption, and could help you decide whether foster adoption is an avenue through which you could serve kids.